Are you a balancer, sequencer, perfectionist, compromiser or struggler? Read Dr. Sylvia Rimm's new follow-up study to be inspired by what women can accomplish! How do successful and often gifted women achieve and keep on achieving? What began as a three-year survey of 1,000 successful women culminates fifteen years later in this capstone chronicle detailing both the research and stories of childhood and adult elements that help women achieve. 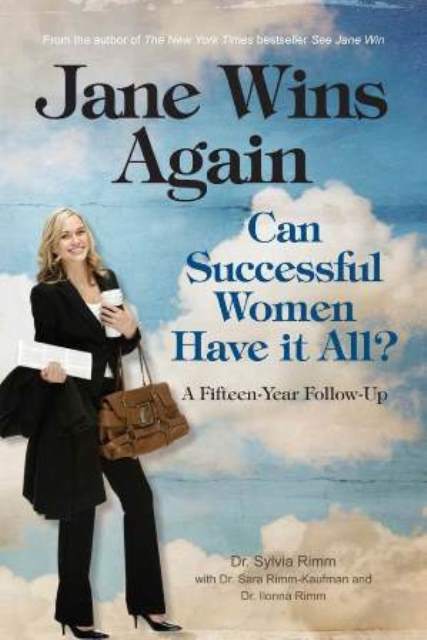 In this third installment following See Jane Win and How Jane Won, Sylvia Rimm and her daughters expand on their original research and interviews with updates from a selection of women who reflect on their challenges and successes to offer advice and inspiration for young girls and women. With a long-term perspective towards life satisfaction, the book explores what works best for women and their daughters who want it all - education, career, marriage, children and more.